A two-member bench of the Supreme Court of Pakistan has granted bail to the three senior officials of AKD Securities in Employees Old-Age Benefits Institution (EOBI) scam. The bench consisting of Justice Umar Ata Bandial and Justice Manzoor Ahmed Malik allowed the bail of Farid Alam, the chief executive officer of AKD Securities and two directors, Haji Iqbal and Tariq Adam against surety of Rs 1 million each. Farogh A Naseem advocate and Arshad Tayyab Ali appeared before the bench on behalf of the accused persons and claimed that the action of the FIA is unlawful as the accused persons have not committed the crime and the FIA team has nominated them in the enquiry report after a long time and without any reason. The counsels further said that there is no evidence of any involvement of the AKD Securities’ officials in the EOBI-Amtex case registered by the FIA. They contended that it was sheer malice on the part of the FIA that these highly respected individuals were detained for about five months without any proof. 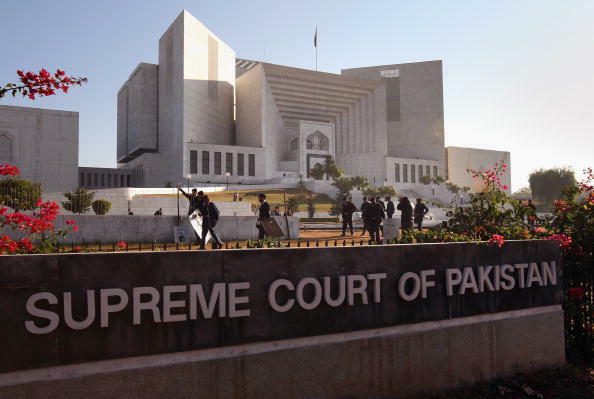 The bail application of the accused persons was filed in the Supreme Court of Pakistan after rejection of their bail plea from the Sindh High Court. FIA Sindh Director Shahid Hayat has included the names of AKD Securities in the second FIR on the basis of EOBI directors’ statement claiming AKD securities was the lead manager of the M/s Amtex Limited shares in 2010 and a research report in which the exact price of the share at that time was quoted. The FIA arrested the employees of AKD Securities Limited in the first week of January 2016 in multi-million rupee EOBI scam through enquiry number 34/2014 which was prepared and submitted to the Supreme Court of Pakistan in October 2014.